The tree of life is believed to be the key of life, connecting all forms of creation. 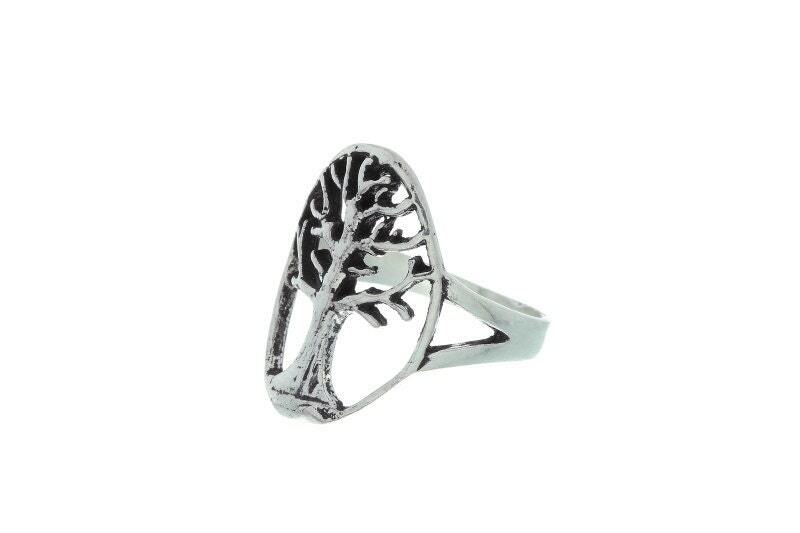 Representing strength, stability, and being deeply rooted. 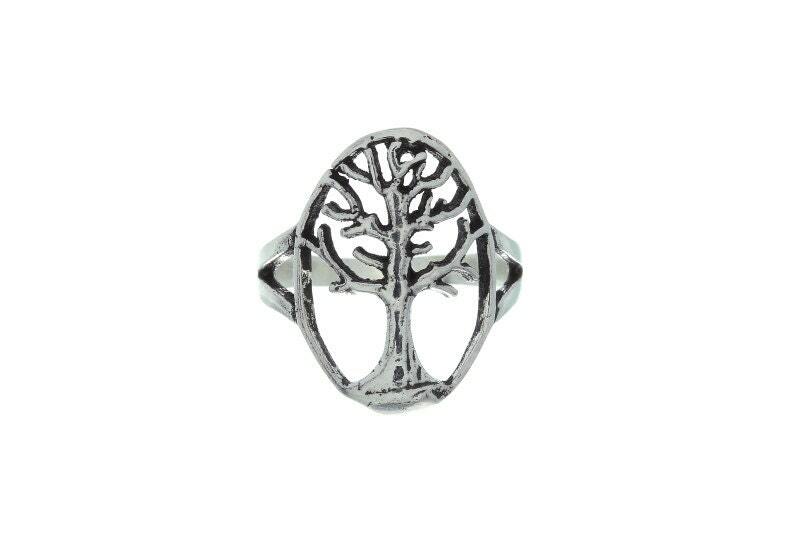 The ring is finished in a dark patina to accentuate the branches of the tree, giving the piece a organic and vintage finish. Patina finish gives the ring a lovely organic, vintage look. Available in sizes 6,8,9 US.